With technological advancements, in 2019 male pattern baldness is no more a genetic inevitability but a choice if one wishes to stylize like Bruce Willis. One hair transplant method that revolutionizes the game by offering effective and permanent results in affordable rates is the FUT or Follicular Unit Transplantation. FUT is a great solution and nothing to panic when you notice receding hairline and any other early signs of male pattern baldness. Cost of hair transplant in Kolkata is much lesser and affordable compared to the western countries. The FUT technique is quite pocket friendly and it costs 20-40 rupees per graft. In India, the cost also varies from one state to another, with Kolkata being one city where hair transplant sector is booming with good surgery options at a comparatively lesser price. A popularly growing hair transplant procedure where hair follicular units are removed from the permanent zones of the scalp and put on the bald areas. Permanent zones are your scalp areas where there is no hair loss and cause active growth in the bald areas after transplantation. 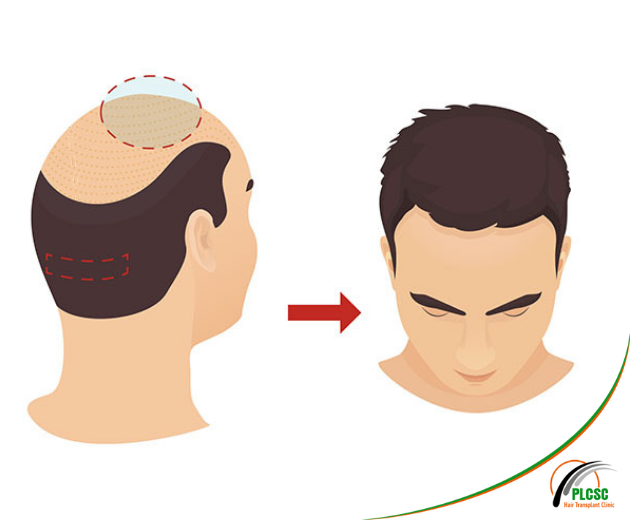 With the presence of the permanent zone in male pattern baldness, the donor grafts for FUT are removed from the back and sides of the head. To know your status as a good candidate or not for FUT procedure, you must get a good consultation from a reputed clinic or surgeon. But with some indicators, your chances of being a FUT transplant candidate increases. To say in simple words, you are a desirable candidate for FUT if baldness affects your appearance but not spread to an extent of the advanced stages as per Ludwig Hair Loss Scale or Norwood Hamilton Scale. How FUT Revolutionized Hair Transplantation Methods? Prevention is not always the solution; some cure can give you a solution too. FUT offers high-quality results to regain your looks and confidence. Strip harvest method makes your surgeon harvest and then grafts a huge amount of hair follicular units in just a session. FUT with strip method will cost you lesser than any other hair transplant options. As you have to pay price per graft, you have to pay reasonably. Know that in hair transplant processes, every transplanted hair follicle won’t sustain, and each procedure has its own survival rate. Though FUE has emerged successful in recent years, but follicle survival rate in FUT is yet higher. Hair graft solutions in FUT are permanent. But hair transplant methods are not preventive and cannot prevent baldness so you need to take care of non-transplanted hair to minimize that effect. Farther it is advisable to consult your local surgeon with years of expertise if you see yourself an eligible candidate for FUT. Also, converse with your doctor about any associated risks and what amount of improvement is expectable from the surgery. He or she can provide better guidance. If you have any doubt about hair transplant process go through our FUT Hair Transplant FAQs to clear all. For more information about hair transplant in Kolkata, call us or Email us.